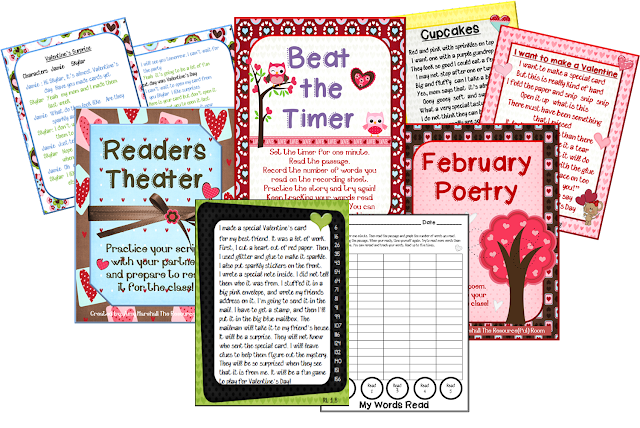 It includes six different activities similar to the ones in the January packet but with a Valentine's theme! 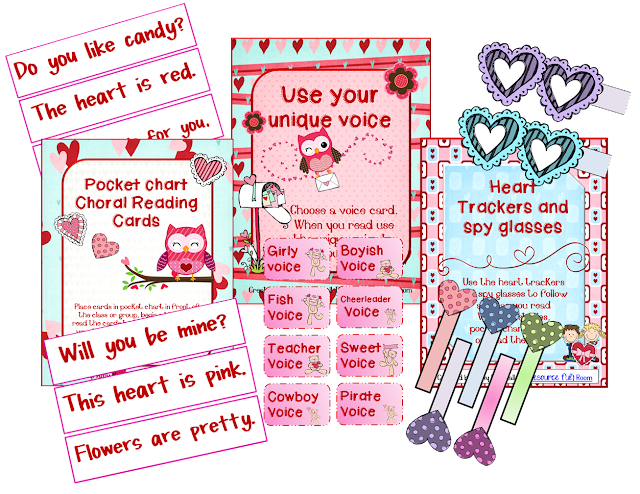 Pocket chart coral reading cards, also make a great independent center, Voice cards for some fun practice with changing your intonation as you read, and "spy glasses" and pointers for reading around the room. You can pick up the glasses and pointers at my blog for free, just click on the picture above. Five timed reading stories at a first/second grade level and a graph to chart repeated readings. Five original poems about Valentines day. Five two person reader's theaters for partner groups. 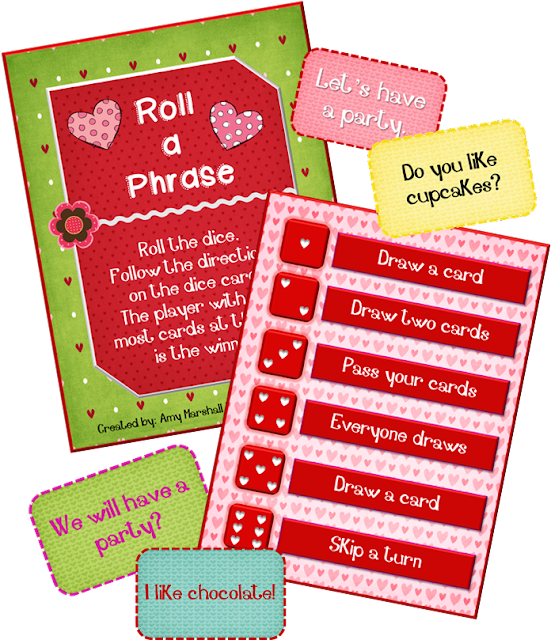 Roll a phrase game using heart dice from the target dollar spot (of course you can always use plain dice too!) My kids have really liked this one, I've added a couple new rules like "pass your cards" I think they will like! 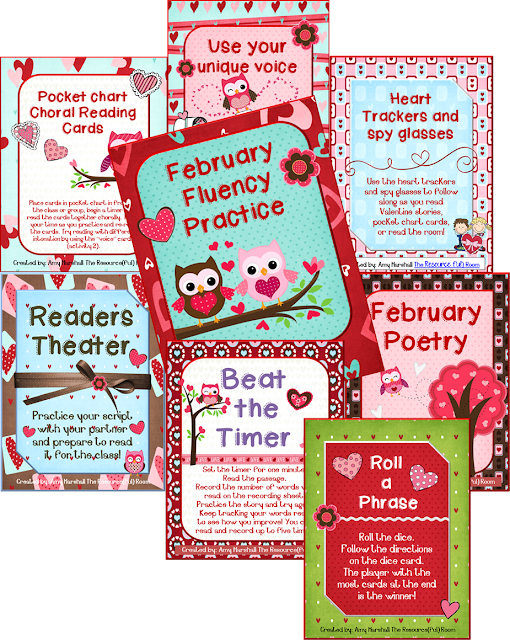 If your looking for February fluency fun click on any of the pictures to come to my store and check it out! Don't forget to stop by my blog for the freebie from this unit! How cute is this? You are so talented!! Very cute! I love your blog..thanks for sharing!